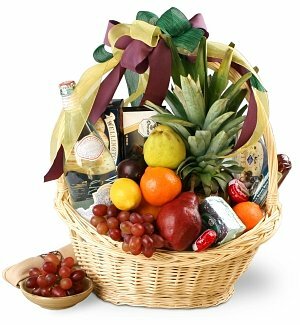 Fruit baskets are the number one gift of choice for all occasions. 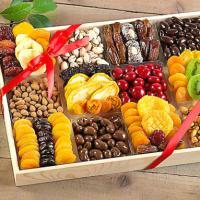 For every special occasion, a delicious fruit and gourmet basket is a wonderful gift that makes a great impression. This handsome basket includes fresh seasonal fruits such as apples, pears, and oranges mixed with a savory selection of gourmet items, such as cheese, crackers, nuts, chocolate, and more. Combined, the unique flavors of the fruit and gourmet will make their mouth water!